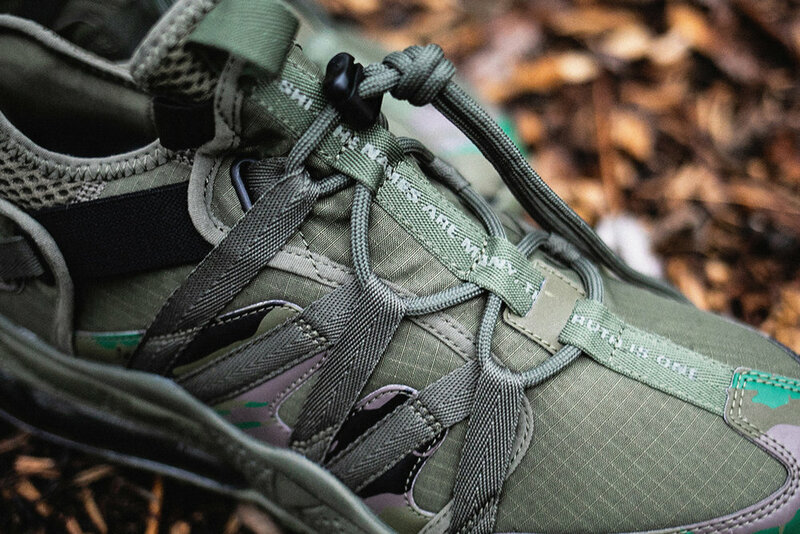 London-based label MAHARISHI has revealed its upcoming collaboration with Nike on a military-inspired air max 270 Bowfin. 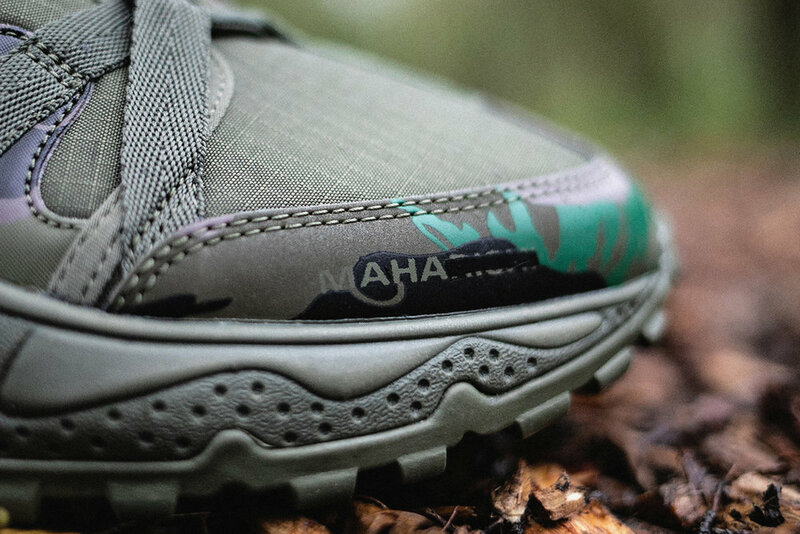 Embodying MAHARISHI’S AW18 technical garments, the Air Max 270 Bowfin Premium utiliZes a ripstop upper with 3M reflective DPM: Bonsai - maharishi’s perennial house camouflage [a reflective Bonsai Forest camouflage] - also printed internally on the footbed. MILTYPE webbing runs through the centeR of the shoe’s lacing system, while asymmetrical branding continues with a redacted swoosh and redacted MILTYPE branding on the toe guard. Additional Features include Design cues from trail shoes and water moccasins, Air Max unit at the heel, Trail-inspired traction pattern, and A Rubber outsole.